Scarlett Shortt is just an average 18-year-old girl, but then her life takes an extraordinary turn following a road accident. 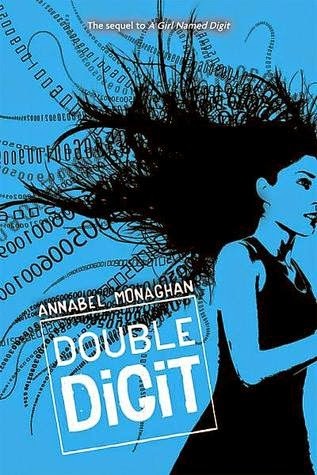 She wakes up to find that the world has twisted beyond recognition - everything is very dark and different now and a bunch of teenagers she's never met before claim to be her best friends. The group can do amazing things, such as fly, read minds and control electricity, and Scarlett is shocked to learn that she has special powers too. 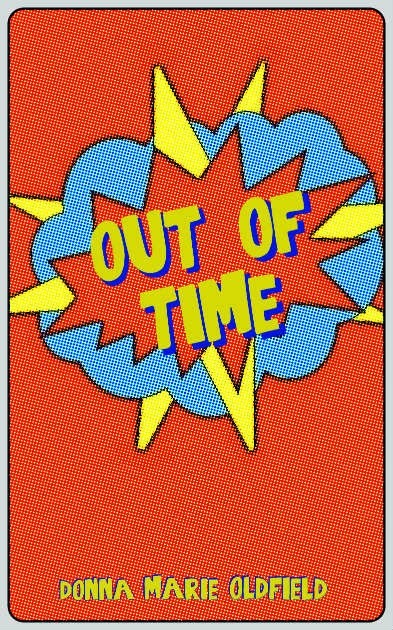 Out Of Time is the first book in a continuing series. Author bio: Donna Marie Oldfield is a freelance writer from the Peak District, England who has been writing and editing for 15 years. She has worked for titles such as Heat, The Guardian, The Sun and Now as well as copywriting for a wide range of businesses. She likes cats, pasta, comic books and cake. When I finished Essence, the first in the series, I was very excited when I heard that Enlightened was already out. I loved the premise of the book and was excited to find out where Waddington would take it next. Enlightened picks up right where Essence ends as Jocelyn struggles to deal with the barrier between her two worlds coming down. There was a real opportunity for there to be an expansion in the story, and I was really excited for that, but unfortunately, Enlightened falls prey to the ever dreaded Sequel Slump and didn't deliver the goods for me. The main reason thing that was the problem for me that made me give it a 3 instead of a 3.5 like I did Essence was because what I thought would be a minor trial in the story arc ended up being the main conflict. It felt blown way of proportion to me. I won't give that much away, but it involves an argument between the two main lovers, and while there was a valid reason for them to get into a fight about it, Jocelyn dealt with it very immaturely - she even knows she's being immature - but she's too proud to apologize until it's almost too late. Instead of being very romantic and keeping the reader in anticipation like I think this conflict was supposed to, it made Jocelyn lose heroine points in my book and had me reading to see when the main conflict was coming. When it turned out this was the main conflict for the book I was disappointed, because I didn't feel like the plot developed a whole lot overall. I will keep reading this series, because I really do love the premise for this story and want to know what happens next. I don't want this review to discourage people from reading the sequel because there are some interesting developments that I think set up some interesting things for future installments. (plus, the book's a quick read). If you haven't checked out Essence yet I definitely recommend you do so, Enlightened won't make a lick of sense if you haven't read the first one! 15-year-old Joaquin can hear a man’s heart beating a half a mile away. He can see in the dark when others are stumbling. One whiff and he can tell what was served for yesterday’s dinner. But then he needs near-coma sleep to heal his brain from the searing pain. He’s a Phoshat, and his ability comes with a price. Rumors spread about the mysterious Phoshat living in the forest around his family’s estate. Then Kallum comes, the tall stranger who leads a mission team for the king. He’s determined to add a Phoshat to the list of talents that his team boasts. He takes on the responsibility of a teenaged, untested Phoshat, and they set out, but soon it’s evident that Joaquin’s gift is so powerful that it almost swings out of control. As their journey goes on and unconsciousness overwhelms Joaquin over and again, Kallum begins to question whether Joaquin is ready for the dangerous mission that’s growing more intense every day. Joaquin wonders too. Why was he born different than everyone else? 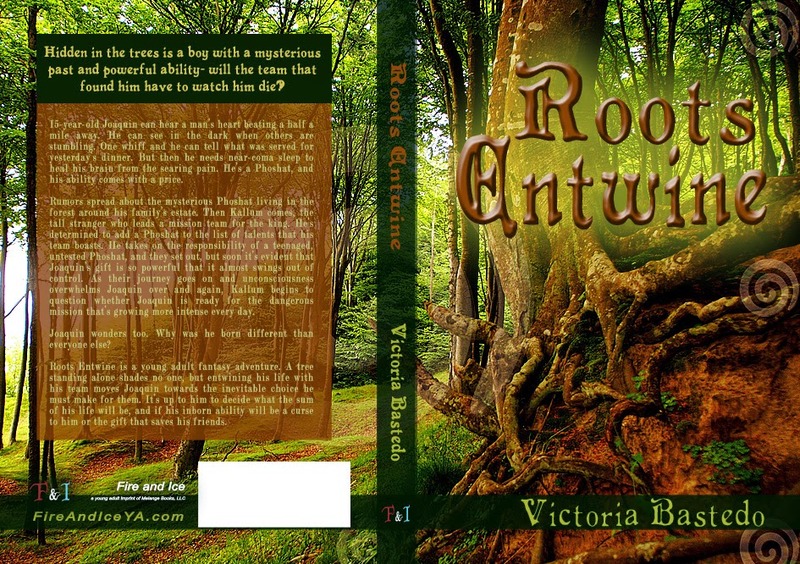 Roots Entwine is a young adult fantasy adventure. A tree standing alone shades no one, but entwining his life with his team moves Joaquin towards the inevitable choice he must make for them. It’s up to him to decide what the sum of his life will be, and if his inborn ability will be a curse to him or the gift that saves his friends. Moonspinners, I really tried to emulate her 'regular girl sees the world, connects with intrigue, and shares the dangerous times with the perfect guy' kind of model. 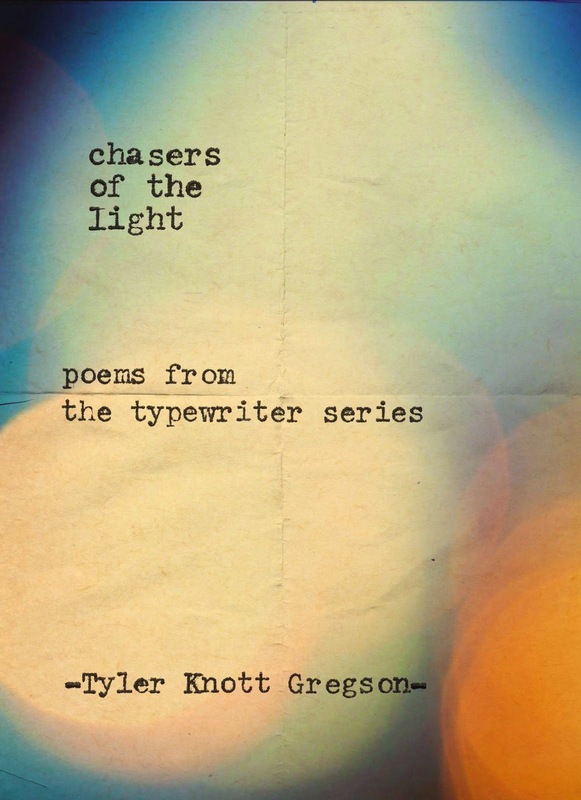 Published by Black Lyon Publishers. Sunrise Meets the Star- a young man leaves his peasant's existence behind, dragged on a journey he didn't expect. The stranger Antaries insists that his father's will cannot be satisfied unless Verone accompanies them. On the way Verone is to be well-fed and protected, doctored and versed. Both of the young men chafe at the Will and Testament that binds them, but they have no idea of the strange fate that twists their lives irrevocably together. Today's feature is Roots Entwine by Victoria Bastedo. Keep your eyes peeled in the next few days for a giveaway of the entire trilogy! Victoria Bastedo lives in an old house on the river with a small mountain nearby so she can watch the moon travel over it. She enjoys being in a small town near Seattle, WA; to experience nature at home and also travel to the city to visit the Market and buy the occasional Dicks burger! 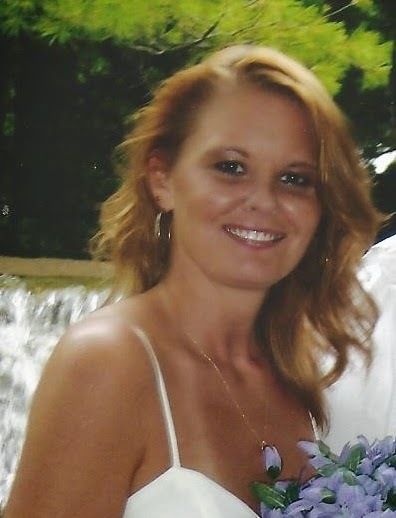 She’s a mother of six children, which has made her by association; a doctor, a teacher, an advice columnist, and a shoulder getting ever more cushioned by time. 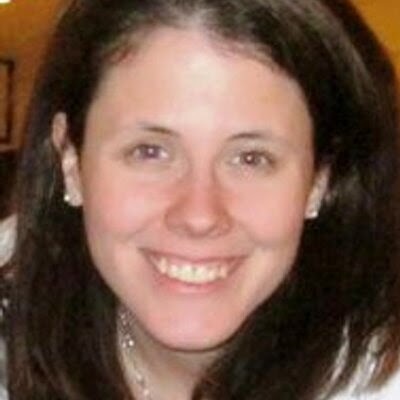 She has found support in God, her family, and the joy of knowing many friends, including those in her writing group who’ve given her a lot of help and good advice. Thank you for reading! Alpena, MI (August 20, 2014) – World Weaver Press (Eileen Wiedbrauk, Editor-in-Chief) has announced Beyond Fate, the highly anticipated conclusion to the“Fate of the Gods” trilogy by Amalia Dillin, will be available in trade paperback and ebook Tuesday, September 16, 2014. "Eve is my absolute favorite kind of character. I would absolute recommend reading the entire [Fate of the Gods] series. I can't wait to read more by Amalia Dillin. Definitely worth the read!" The epic conclusion to the Fate of the Gods trilogy. When Adam left Eve, abandoning his wife and their newborn daughter Elah, he thought he was saving the world. But he hadn't counted on the influence of Michael, twisting Elah's love for her parents into paranoia, or the slow, leaching death of the world she rules. Even with the help of Raphael, Elah is becoming her father's daughter, a master manipulator, and she's determined to have her way, even if it means betraying her own mother's trust. With Loki and the Aesir gone, Thor thinks he’s protected Eve from the ravages of Ragnarok, but there are forces in play even the gods can’t see. When Thor arrives in Eve's next life, offering her everything she ever wanted from Adam, and more -- eternity without death or rebirth, and the freedom to live outside of her daughter's reach -- Eve is more than tempted. But can the world survive with only Adam to protect it? Beyond Fate will be available in trade paperback and ebook via Amazon.com, Barnesandnoble.com, Kobo.com, WorldWeaverPress.com, and other online retailers, and for wholesale through Ingram. 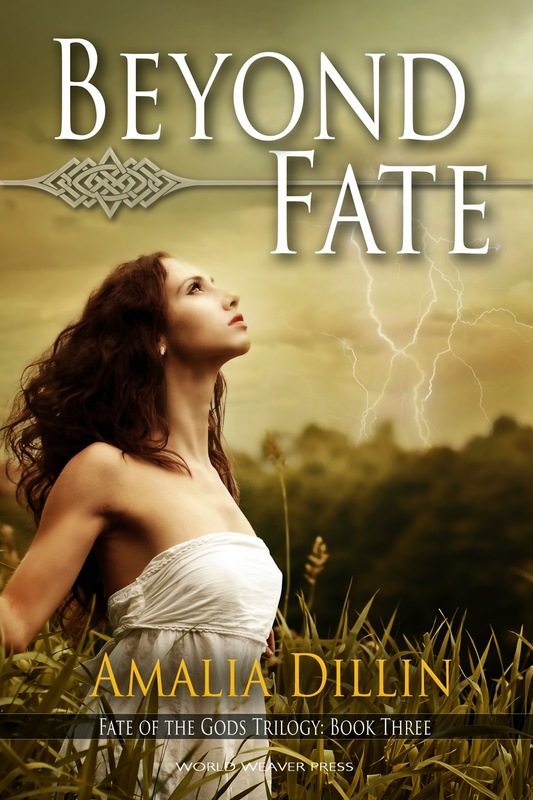 You can also find Beyond Fate on Goodreads. Amalia Dillin began as a Biology major before taking Latin and falling in love with old heroes and older gods. After that, she couldn't stop writing about them, with the occasional break for more contemporary subjects. 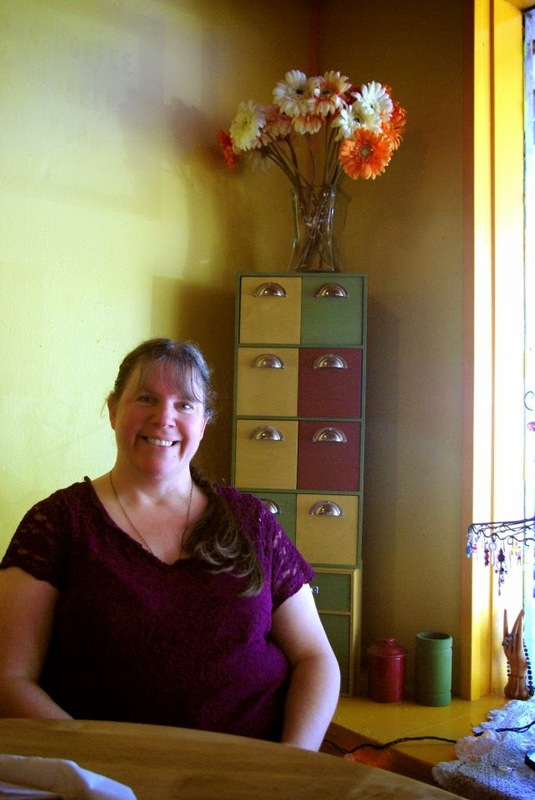 Her short stories have been published by Daily Science Fiction and Birdville magazine, and she's also the author of the “Fate of the Gods” series and Honor Among Orcs, the first book in the Orc Saga. Amalia lives in upstate New York with her husband, and dreams of the day when she will own goats — to pull her chariot through the sky, of course. 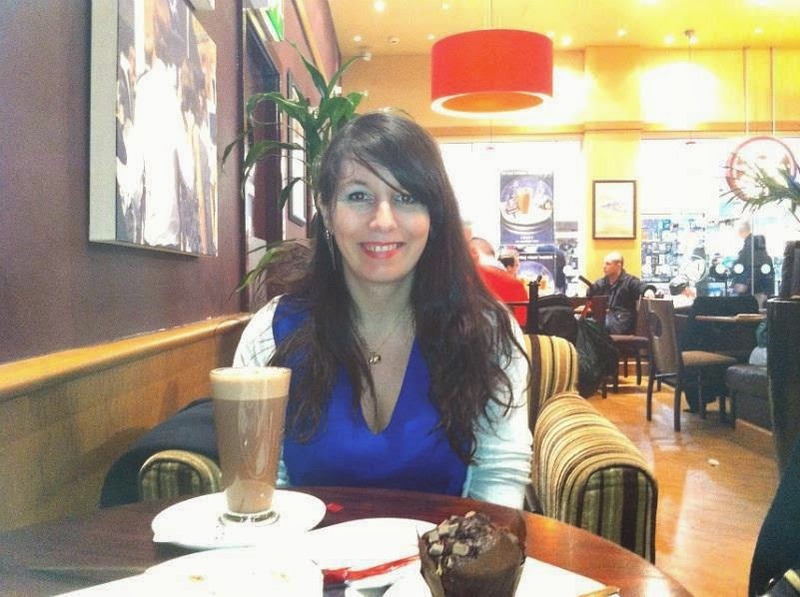 Today I'd like to welcome Caitlin Sinead Jennings to the blog! I asked her a few questions about her new book Denali in Hiding, and here is what happened. I’ve wanted to be a writer since I was seven and my mom was proud of my second-grade scribblings. I read across the board and enjoy a lot of types of books, from literary to fluffy romance. I really enjoy authors who shake things up and give us something a little unexpected. For example, Stephanie Kuehn’s Charm & Strange or Geraldine Brooks’ People of the Book. How did you get the idea for Denali in Hiding? There’s a stigma against scientific research into psi/paranormal phenomena. Psi researchers have trouble getting funding, publishing their research, and, I imagine, being taken seriously at cocktail parties. This stigma may be well earned. However, I got to thinking: wouldn’t it be interesting if there were people with psi abilities and they were actually the ones promoting that stigma? They ran an underground campaign to ensure that no serious resources went to psi research because they feared being discovered. Just to be clear, I don’t think that’s happening. I’m a writer, not a conspiracy theorist. :) I like imagining crazy “what ifs?” and seeing how they unravel on the page. 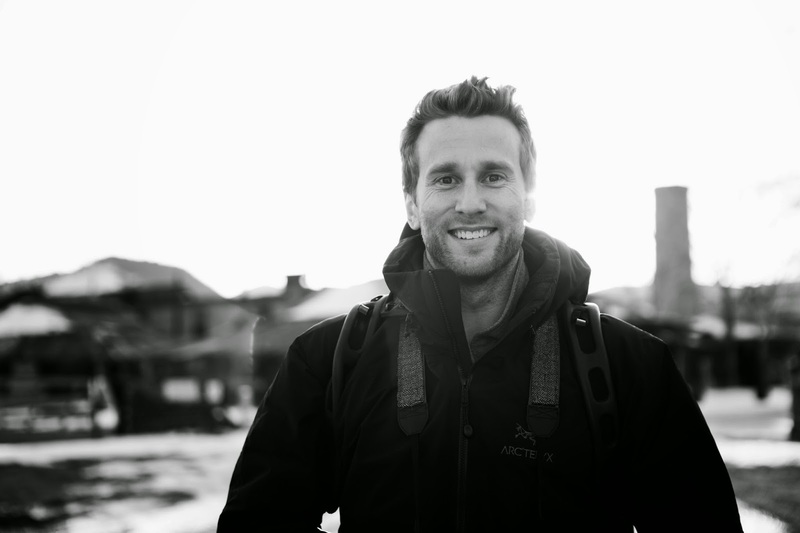 You are choosing to publish Denali in Hiding in a rather unconventional manner, could you talk a bit about that? I tried to pitch Denali to literary agents, and while I got some encouraging feedback, most agents said YA scifi/paranormal is really hard to sell right now. 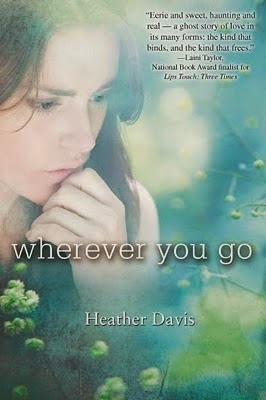 :( I moved on and wrote more books and one did get me an agent and a two-book deal with Carina Press/Harlequin. Yippee! But I was still thinking about Denali. When I heard about Wattpad and how it’s best to post novels in a serial format over a few weeks, I thought that could be a perfect way to get Denali out into the world as the book is set up as journal entries. Her entries start on August 27 and end on January 4 and I’ll be posting them in “real time.” So, we’ll see her go through the seasons and holidays all while she tries to prevent something horrible from happening at a January 3 event. What other projects do you have out or in the works? Another one of my New Adult novels, Vice, will come out next summer. It’s about the daughter of a vice presidential candidate who has to deal with rumors that her deceased father isn’t biologically related to her. In three sentences or less, why should people read Denali in Hiding? If you liked Four in Divergent and have been itching for another trainer/trainee dynamic, I think you’ll like this one. Also, it’s free and you get to experience the plot points at the same time as other readers. Here it is! So how this is going to go is I'm going to start with one ARC up for grabs, but every 50 rafflecopter entries I'll add another book (at least until I'm out of ARCs that is). 8/17 We're past 5o entries, so that means I'm adding another ARC! Seventeen-year-old Holly Mullen has felt lost and lonely ever since her boyfriend, Rob, died in a tragic accident. The fact that she has to spend most of her free time caring for her little sister and Alzheimer's-stricken grandfather doesn't help. But Holly has no idea that as she goes about her days, Rob's ghost is watching over her. He isn't happy when he sees his best friend, Jason, reach out to help Holly with her grandfather but as a ghost, he can do nothing to stop it. Is his best friend really falling for his girlfriend? The dramatic conclusion to Jenna Burtenshaw's YA dark fantasy trilogy and the sequel to Shadowcry and Blackwatch. This stunningly original series will be loved by fans of Sarah J. Maas's Throne of Glass series and Leigh Bardugo's Grisha trilogy. Teen Kate Winters and her powers are unique. She is descended from an ancient and powerful bloodline. 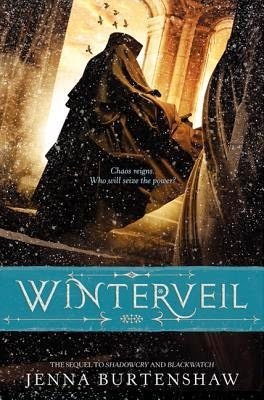 She alone can understand Wintercraft, a book of ancient secrets. She alone can stand between the living and the dead as the veil between them crumbles. Kate is being led to the very edge of life and death so that she can call down all the spirits that haunt the graveyard city of Fume. No one can resist the pull of the crumbling veil, and soon the dead will overrun the living. Unless Silas and Edgar can stop her. Edgar is Kate's best friend and her one anchor to the living. But Silas is enigmatic, merciless, and often cruel. Will this villain we love to hate act honorably? Or not? Jenna Burtenshaw has created not just a magnificent city full of intrigue and darkness, but also a hero and an antihero who will keep you guessing until the end. Who can you trust when good and evil are bound together? Yes, this is the second in the series, but one could easily read it without having read the first and it would still make sense. Digit and John are back for a second book and in way over their heads. Denali in Hiding is going to be a bit different from your average read because starting Aug. 27, the author is going to start posting it "real time" in diary format. It will be as though you are reading the events as they happen in the characters' lives. It is also free to access, all you have to do is sign up for wattpad and bang! a new read for your pleasure. 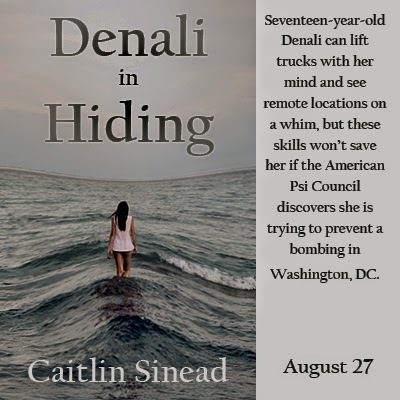 Seventeen-year-old Denali can lift trucks with her mind and see remote locations on a whim, but these skills won’t save her if the American Psi Council discovers she is trying to prevent a bombing in Washington, DC. Denali doesn’t want to disobey the hidden society that recruited her. She loves Nashquttin, an island safe haven for psis where she is free to use her mind to fly paintballs at friends and roast marshmallows without a stick. There is nothing more liberating than cracking dead trees over the ocean after a heartbreak (even telekinetic guys can be jerks). She also trusts the Council. It’s not like they’re pro bomb. They’ve simply learned through centuries of persecution that even well-intentioned psi actions can cause non-psis to wonder, investigate, and react violently in fear. Denali should listen to the Council. She should avoid a lengthy prison sentence. She should ignore her pesky conscience and forget about seeing that eerie man in a faraway basement with bomb materials and blueprints of the State Department. And she definitely shouldn’t let her strong, strict trainer risk his life to help her. It’s simple. She shouldn’t try to stop the bombing. 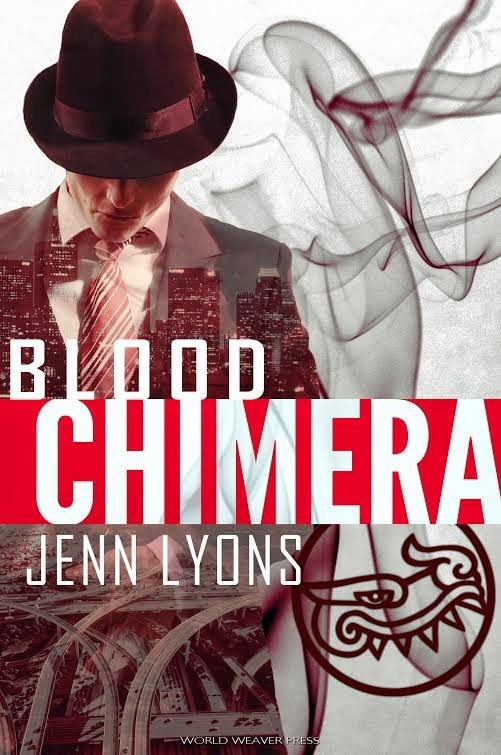 Alpena, MI (August 12, 2014) – World Weaver Press (Eileen Wiedbrauk, Editor-in-Chief) has announced Blood Chimera, the first novel in a new paranormal mystery series by Jenn Lyons, is available in trade paperback and ebook today, Tuesday, August 12, 2014. Blood Chimera is be available in trade paperback and ebook via Amazon.com, Barnesandnoble.com, Kobo.com, WorldWeaverPress.com, and other online retailers, and for wholesale through Ingram. You can also find Blood Chimera on Goodreads. 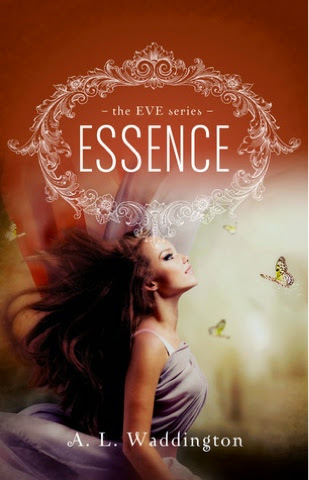 Essence is a YA, paranormal, historical romance that I received from the publicist in exchange for an honest review. I was very intrigued by the original premise and the story did not disappoint. Waddington did a great job creating plots in both parallel timelines as she slowly starts to bring them together. There was momentum to the story all the way up to the end, where the author left me wanting to know what came next. I did not know (or remember?) off the bat that Essence was part of a series, so I was surprised when I was close to the end and the story was nowhere close to a resolution. I figured it out soon enough though, and now am excited and intrigued to see what direction the rest f the series takes. I liked the story twelfth well enough to give it a solid four, and it was close, but I needed up giving it 3.5 for several main reasons. On if them being that at times there were really clunky or awkward sentences, and I found that I was rereading parts to see if I had read them right. There were also instances where I felt like there could have been more showing instead of telling. The last major thing for me was that I felt the explanation for why Jocelyn is leading two lives was anticlimactic. Most of the novel is leading up to Jocelyn finding out what is happening to her, and when I read to that point, I felt the explanation of the mechanics itself was an afterthought. Almost just saying, "just accept this because it is the premise of the book". This doesn't always bother me, but it did this time. It's possible that all will be made clear in the next installment, but for now it seems a bit inadequate. Essence is a YA romance with a twist. I haven't come across a thing quite like it before, and am glad I did. I encourage you to check this one out.